If Janome is your favorite sewing machine brand and you’re shopping for an overlocker on a limited budget, the Janome 9300DX Overlocker could be the perfect fit for you. Suitable for any sewing enthusiast (experienced or otherwise), this overlocker sewing machine gives you a wide range of features in a compact unit with one of the cheapest price tags on the market. With this unit, you’ll not only be getting yourself an affordable overlocker, but also one that performs exceptionally well for a wide range of sewing tasks. Let’s take a closer look at what this machine has to offer so that you can have all the required information to make an informed buying decision. A differential feed with an adjustable range of .05 to 2.25. A cutting width that can be reset from 2.0 to 5.7mm. These 2 features provide you with increased control for handling most fabrics ranging from denim to delicate materials such as chiffon. While threading is one of the most complex processes of using an overlocker, the Janome 9300DX uses an intuitive “lay-in” threading system to simplify this crucial step. This system makes threading a breeze as it features colour-coded thread guides that take you through the threading process step by step. 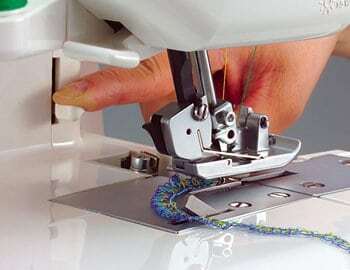 Threading the Janome 9300DX overlocker is as simple as pushing the thread into the guide and through the lower looper, after which you’ll just need to follow the colour-coded guides on the machine’s threading path. And when you need to re-thread, simply lift the presser foot and the thread tensions will be automatically released thus allowing you to draw the thread smoothly. Threading is further simplified by the fact that the machine comes pre-threaded allowing you to see how the thread should be placed even before you start using the overlocker. The included instructional DVD also helps you to master the threading process quickly. 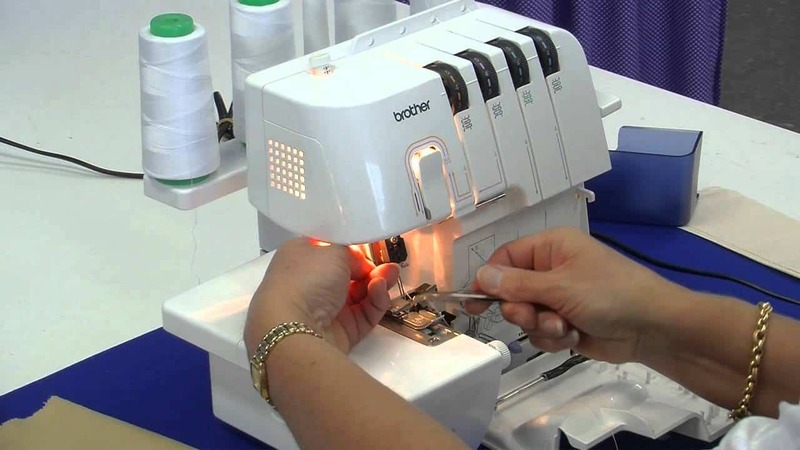 With most overlockers, you’ll need to change the needle plate to be able to sew rolled hems. That, however, is not the case with the Janome 93000DX. 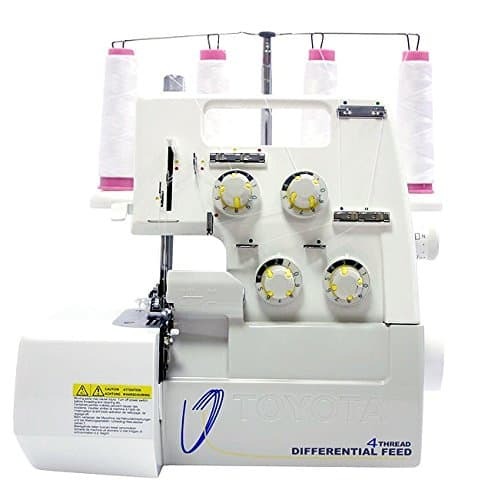 This machine allows quick conversions for rolled hems through a built-in rolled hem feature that only requires you to simply move the lever to switch to rolled hems. Whether you’re making ruffles, fancy edges, decorative effects, or simple hem stitches, the Janome 9300DX has an appropriate feature that ensures your stitches come out perfectly. For instance, the upper knife can be deactivated for decorative sewing, while a gathering attachment allows you to get the very best fancy edgings. The Janome 9300DX measures approximately 28cm (H) x 28 cm (W) x 26cm (D). The Janome 9300DX overlocker is hard to fault. The only possible disadvantage of this overlocker is perhaps the fact that it’s not ideal for use in poorly-lit areas as it doesn’t feature an LED screen. This drawback, however, is not that serious as you can easily find a way to work around it. So far, the Janome 9300DX has had an amazing overall rating from many past purchasers. Reviewers seem to love everything about the machine from its super quiet operation and easy adjustability, to its brilliant performance, which according to users remains reliable across all fabrics and even bags. 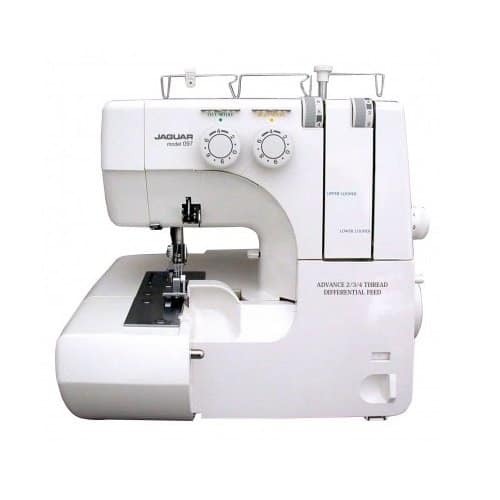 The Janome 9300DX is one of the best sellers in the Janome range of overlockers with many people having found an ideal sewing companion in the unit. The machine is fairly easy to operate, sturdy in design, precise in execution, exquisite in performance, and adjustable in functionality. 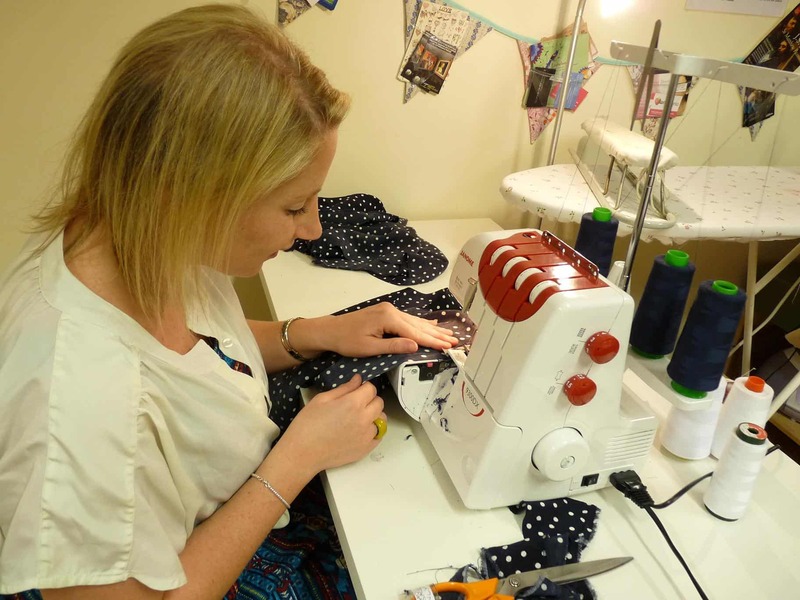 What’s more, the unit’s features provide you with everything you’ll need in an overlocker whether you’re a beginner or an experienced tailor. 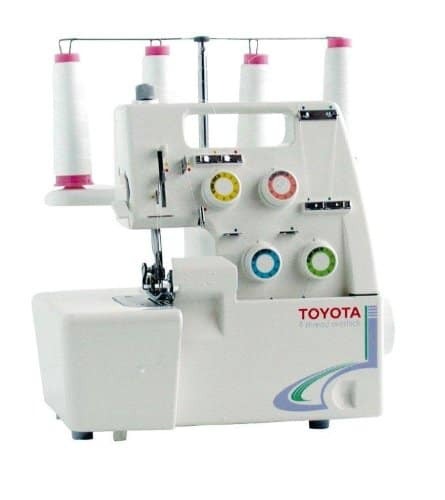 There’s no reason why this model should not meet all of your sewing needs too!